Once again, our palates led us to a delightful creation from Ca' Momi in Napa. The operation was established by a trio of Italians - Valentina Guolo-Migotto, Stefano Migotto and Dario de Conti - in 2006. As is the tradition in Italy, one must eat good food with good wine, so the trio extends their creativity into the kitchen. They serve authentic Italian food from a menu planned by Valentina, using ingredients from their sustainable, organic garden. What these three don't bring with them is the craziness of the wine business. They started small, built one part at a time, purchased fruit from only the best vineyards they could find, and then, bit by bit, planted their own. They built a beautiful, modern facility and took in clients to make wine for them. This created year-round income that a winery for one entity could never equal. As a result, they have become very successful and, most importantly, they have not veered from their original purpose: great wines at great prices. 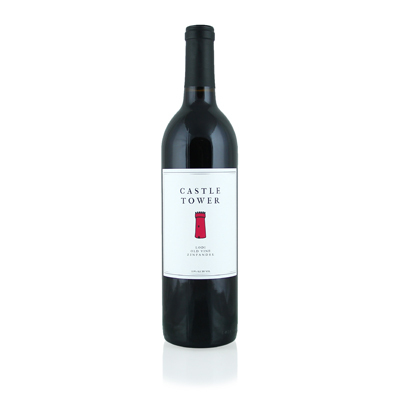 This Castle Tower Zinfandel from 2016 is a perfect example. Like just about everyone else in the wine business, they got their grapes from Lodi, and like so many others, it is spectacular. To call Lodi the next Napa would be an understatement. Here are all the big, bold flavors of brambleberry, strawberry and plum, with a hint of mint that we expect from these wines. The flavors in this Lodi Zinfandel are all there and ready for anything.